After a turbulent 2017 filled with security breaches and hacker attacks, it is clear that the protection of our computers is needed more than ever. Computer viruses engineered by hackers have been known to wreak havoc on a global scale. Last year, the WannaCry cyberattack alone crippled equipment in more than 16 hospitals in the UK. Ransomware infected some 70,000 computers worldwide, potentially holding users hostage to hacker extortion demands. Cybercriminals are becoming more aggressive. Apple Mac users are discovering that they are not virus proof! That means agents need to update their computers with antivirus software to safeguard their files from harm. Sadly, even highly-rated security software designed to protect your computer has come under suspicion. Last fall, the U.S. government even pulled Kaspersky Lab security software from its computers due to unease about the product’s possible ties to Russian security services. So what antivirus software should real estate agents trust to defend their computers? There are lots of antivirus options, but which ones are the best for you? Here’s a review of some of the things you need to consider and options you can explore. Note: It is possible that not all these products may be available throughout North America. Please check availability in your area. Today, Windows 10 users are finding fewer problems than ever. That’s because it comes with Windows Defender. Microsoft is providing its users with an excellent antivirus protection program built-into the latest edition of Windows. If you are a Windows user and thinking of an upgrade, this feature alone might be reason enough to make your move now. But if you are using an earlier version of Windows, there are other options out there that could be just as effective. For example, Tom’s Guide, which is known as one of the most trusted tech sources on the Internet, recently made their top four antivirus picks based on four price ranges: Free, Basic, Mid-Range and Premium. Free: These types of Windows antivirus products, such as Microsoft Security Essentials, generally offers only bare-bones protection. Malware updates and scans must often be manually initiated. There also is seldom any protection against malicious websites or email attachments. Basic: The least-expensive paid Windows antivirus products, which generally list from $40 to $60 per year depending on the number of PCs covered, give you basic overall protection. This included antivirus definition updates with automatic scanning. Also, websites and email attachments are screened. These products are, overall, easy to use. Bitdefender Antivirus Plus is a prime example of basic antivirus software recommended by Tom’s. Mid-Range: These products usually list from $60 to $80 per year. Generally, they build on the basic packages by bundling in parental controls and a two-way firewall to catch outgoing data, although many add other features. But if you are looking for a full-feature set, you’ll have to pony up for one of the premium antivirus products. Ironically, an example of a mid-range antivirus program recommended by Tom’s Guide is one the U.S. government will no longer use: Kaspersky Internet Security. Premium: Top-tier packages are often called suites because they do much more than catch malware. Added features often include file encryption, secure online storage, a password manager or an ad blocker. As most suites cover multiple devices, they also frequently bundle in licenses for Mac and Android antivirus software. For all this, you can expect to pay between $80 and $100 per year. Once again, Tom’s Guide’s top pick was a Kaspersky product: Kaspersky Total Security. 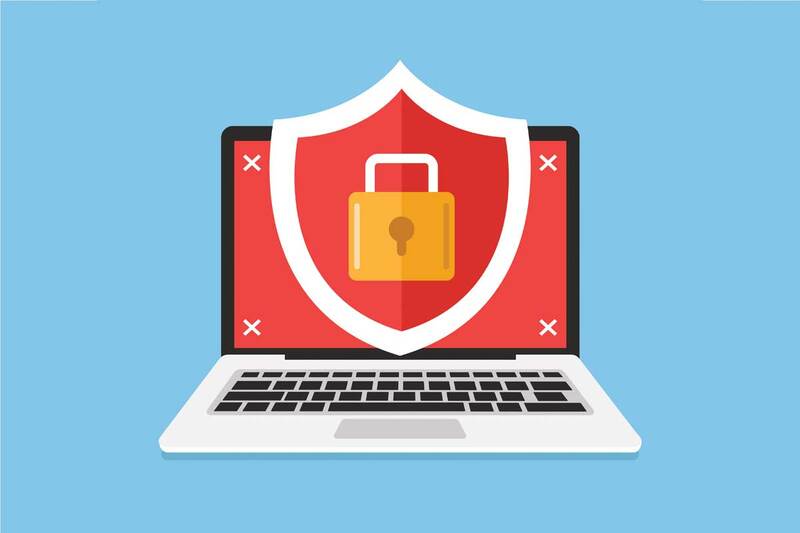 However, if you’re nervous about Kaspersky products, PC Magazine offers a list of many alternative antivirus programs and their features available here. In the past, Apple has maintained that its Mac OS does not need antivirus software, unlike Windows PCs. They argue that its built-in security features, combined with its sturdy technological architecture, make it so Mac users don’t have to worry about their computer becoming infected with malware. But according to Macworld, an increase in malware specifically designed for Mac products was higher in 2017 than in the previous five years combined. In fact, Mac users in recent years have been dealing with several new threats. One of the most frightening is KeRanger, which is the first known ransomware specifically designed to target Mac OS. While Macs are considered to have better protection against computer viruses than PCs, they are just as vulnerable to malware and other harmful bugs on the web as Windows products are. Antivirus software can be useful in defending your Mac from malware. In fact, more advanced antivirus software for the Mac includes parental controls and options to lock down your webcam and stop websites from tracking your browsing activity. You can see a list of Mac Antivirus Software online here from PC Magazine. If you are still having problems deciding what antivirus software product suits your computer, one final option to consider is a not-for-profit overseas organization called AV-Comparatives. AV-Comparatives is an independent organization based in Austria that tests and reviews antivirus software for PCs, Macs and other operating systems. Its goal is to see which products live up to their claims. The company is best known for its “Real World Protection Tests.” These tests put antivirus products in a realistic environment that can closely determine how well they will protect a user’s operating system. The company then releases data reports and charts to the public and media on the results and comparisons. AV-Comparatives can be an excellent guide to help agents decide what antivirus software is right for them. A word of caution from our tech experts: do not load your machine with more than one antivirus software program. You could ultimately slow it down, as each software program would try to overlap each other, and that would cause performance issues. That does not mean you shouldn’t include an advertising blocker, like Adblock Plus, a completely free add-on for Chrome and Firefox browsers. Ad blockers can automatically stop malicious script, unwanted popups and ads – even those running on dangerous webpages, and prevent the deployment of ransomware that locks up your computer screen. Most importantly, you need to continue to practice safe browsing and be guarded when opening email attachments. An email from a long-lost friend or cousin or an old boss with an attachment arriving out of the blue should raise a red flag. The best rule of thumb is that if you don’t know what it is, just don’t click it. Finally, remember to keep your computer current. While you can never determine when a virus is going to attack your computer, having the right up-to-date antivirus software and updates for your operating system can be the difference between infection and protection. Source: " What Antivirus Tool Do the Experts Recommend?"